Conventional market wisdom - puts us part way through a long economic recovery that started after the financial crisis of 2008. Western politicians try and convince the public that the worst is over, conditions have been challenging and we are on the right path to growth. Rosy Picture: Meanwhile, the financial markets – particularly people that make fees out of buying and sell shares, bonds and currency, put on a brave face and try and convince themselves and the average person that we are on some sort of early stage of bull market. Gold: The recent correction in gold from $1600/ounce to $1250/ounce – with headlines of panic selling – was a classic example of the conventional financial markets talking up currencies, stocks and shares and trying to talk down gold and silver. It started with Goldman Sachs giving a sell recommendation on gold, then people thinking Cyprus then other European countries would be forced to sell their gold, then some mildly disappointing news came out from China suggesting a slow-down. Despite all the money printing by all developed nations, prices started to slide over a four day period from 8 April. The gold volatility index hit a record – very strange. They say when people start selling their insurance policy against inflation, a currency crash or economic panic, this is a good sign for stocks and shares, bonds and currencies (paper assets). The financial papers are talking about a gold bear market – the end of the gold bull market and back to normal economic conditions in western developed nations. Gold Still In Bull Run: But we think this is far from correct. Our belief is we are only about 70% of the way through a cyclical (18 year) gold bull run. And 70% of the way through a cyclical (18 year) stocks and shares bear market. Gold is taking a correction down before the next big up-leg. Meanwhile in inflation adjusted terms, the stock market continues to decline. For example in the UK the FTSE 100 is at a similar level to in 1997 despite 16 years of inflation. In inflation adjusted terms it has halved. We expect this decline to continue. Moving a Market: A post mortem found that very few small investor sold their gold, India and China started frantically buying when prices dropped to $1350/ounce and gold ran out in Dubai there was such heavy demand. International investors were using it as a good time to buy cheaply. That seems to make sense. Its worth pointing out Goldman Sachs is so huge, it can easily move a market – and it’s a self-fulfilling prophecy whatever they announce. But they will short gold before announcing it will go down, then after the peak of the mini-crash, will frantically start buying. The market activity makes them serious money. Most big moves have Goldman Sachs DNA signature on the corpse. So don’t ignore what they say. We would not be surprized if they announce that they believe gold will zoom up henceforth. Recession Due: It’s also worth pointing out that during inflationary periods – or stagflationary periods – there is normally a recession every 5-6 years. These are normally fairly short and sharp – but they punctuate periods of say 3½- 4½ years of growth. Since western developed nations came out of a recession in 2009, most are due for another recession now. Another small cycle. By mid-2013, we think the western developed nations will slip into recession again – likely prompted by a slow-down in China. The Chinese economic miracle is about to take big dip down – it’s not sustainable at GDP growth rates of 8-12%. Whether a debt problem or real estate crash starts the big slowdown we do not know. But something will knock back China in the next year or so. What’s helping western economies at present are the European austerity measures starting to work, plus the oil price dropping – partly because of new oil supplies from the USA. If oil stays around $80/bbl – it will stimulate the global economy. But if it rises over $120/bbl, it will probably send many oil importing nations into recession again. Greece was clobbered by high oil prices after 2007 – as was Cyprus – simply because they imported all their oil, gas, metal, coal and even some electricity. Spain, Portugal and Ireland are similar. So low oil prices benefit them, but high oil prices clobber them. It’s not often discussed by politicians because they cannot control oil prices and its bad news – but keep an eye on oil prices if you invest in these countries. At the end of a normal gold bull market, gold would be more or less equal to the Dow Jones index. The Dow Jones is currently ~13000 and gold is $1410/ounce, so either gold will shoot up or the Dow Jones will decline dramatically or both before this gold bull market has ended – when panic starts and every man and his dog are buying gold. We expect another deflation in 2013 – before a big inflationary period develops up to 2018 – the final money printing binge before a general financial collapse. What this means is that stocks and shares, oil, gold and silver will likely decline for a period this year from herein, before the money printers are primed even further and inflation kicks in “big time” a few years from now. People often say that the debt bubble is simply so huge, no amount of money printing will stop deflation. But in a way we disagree because Central Banks have already proved they have the mandate and ability to print as much as they want to prevent a big deflationary spiral – they simply add numbers to a computer screen. They should actually let the bubble deflate, but they will try all they can to keep the money junky from dying and pump the body full or dollars, yen and sterling. 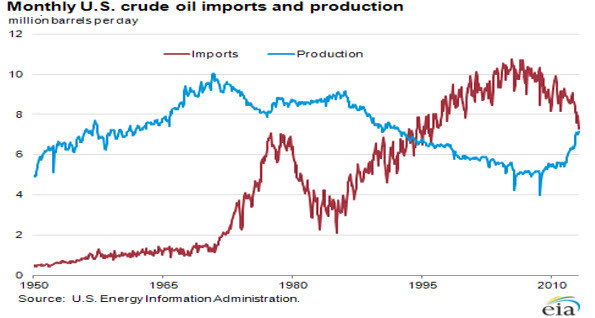 Shale Oil and Gas Defers The Dollar Crisis: But hyper-inflation will probably not occur until the bond markets collapse, and in the USA, they seem to be holding up rather better than we had expected. It’s surprized most people that despite the abuse the dollar gets from the trillions of printed dollars and the Fed buying its own debt, the dollar still stays reasonably strong and interest rates stay very low. It would take this toxic bond market bubble to go pop to flood the US with dollars driving up prices rapidly. This is likely to happen one day, but it does not look likely at this time. One reason for the delay – or deferral - is almost certainly the huge boom in shale gas and shale oil and the reducing imports of foreign oil. The US dollar is starting to look more and more like a Petrocurrency once more. Despite the US’s huge debts ($16.5 Trillion direct, $75 Trillion unfunded liabilities), Obamacare liabilities, pension liabilities and massive public sector, government and inefficiencies – it seem the markets feel safer with the dollar because of the USA has such a strong military, projected increases in oil and gas reserves and big high tech businesses. Essentially the Obama administration has been saved by Shale Oil and Shale Gas (fraccing) like Margaret Thatcher was saved by North Sea oil. 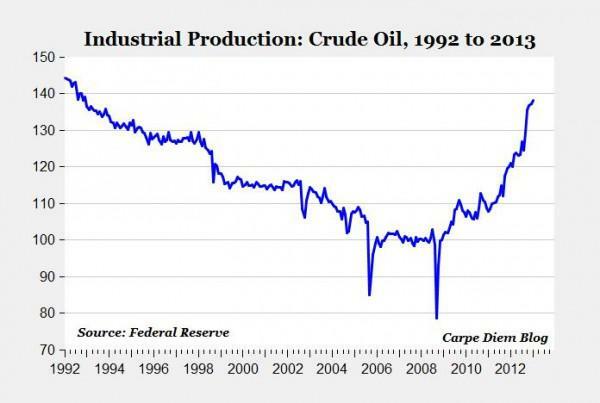 This allows the Fed to continue printing money – with more confidence than normal – because they are backed by these new gas and oil reserves and production. Back by some real assets. In the USA, the increase in Shale Gas has already led to gas prices crashing from $12/mmbtu in 2007 to $3.3/mmbtu – only 35% of the price. This has led to a switch from coal to gas power generation and stimulated manufacturing. 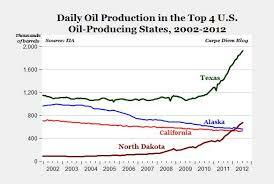 Then there has been a big increase in the production of US oil particularly in North Dakota and Texas. This stems from the new technology and drilling techniques that allow horizontal wells to be multiple-fracced at depths of 3000m with additional horizontal well lengths of 1500m at this depth – radiating from single well locations. 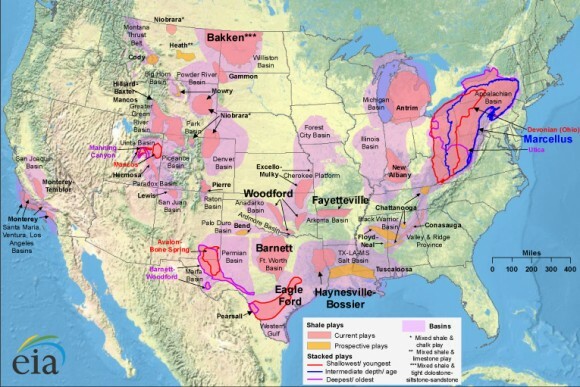 The reserves of oil within the Bakken and Marcellous Shales to name but two shale formations is huge and increasing. People are even talking about the distinct possibility that the USA will become self-sufficient in energy by about 2020. If the current energy consumption (down) and production (up) trends continue, this will indeed be the case. This would close the $400 billion oil import bill the USA had a few years ago to almost zero. Meanwhile the USA is likely to start exporting gas (shale gas) through LNG export terminals in the next 3-6 years. Despite the huge government, regulations, gun crime and inefficiencies from the populist social government, it’s just possible the oil and gas could help defer a financial crisis or bond market crisis for some years. It’s likely the market has gotten hold of this – and is giving the US economy the benefit of the doubt for now. We are certainly a bit less bearish on the US economy than we were last year – simply because of the big increases in indigenous oil and gas production and reserves additions. For US business investors, there are certainly some exciting areas that we expect asset prices to rise in. They are generally linked to the boom in oil and gas production. Thousands of new millionaires have been and will be created from this booming industry, but the areas are very specific – we will describe them here. The biggest impact of shale oil and gas so far has been in North Dakota followed by Texas – the affects will spread to other states. There will be continued environmental concerns with regard to fraccing (ground water pollution, water supplies, water disposal and earth tremors) but we expect regulations to be tightened somewhat though this will not hold back the boom in oil and gas production and its economic benefits – jobs, wages, business, tax revenues – instead these regulations will raise standards. Purchase of low cost but reasonably comfortable rental accommodation oil workers has to be a high yielding and potentially very lucrative business. Expect shortages of rental accommodation in North Dakota and Texas has people move into these states for work – sometimes permanent and sometimes rotational.